Best MP5 AEGs on the market? 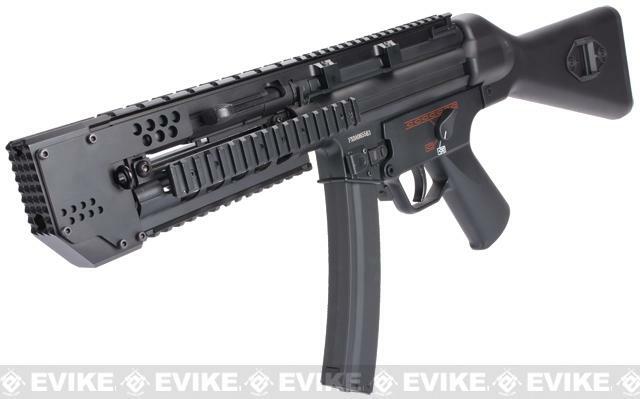 Okay so ive been looking to get my first skirmish AEG and feel one of the MP5 series would be a good starting point for both CQB and outdoor events, but which one is best without having to break the bank. Ive read/watched alot of good things about the Umarex VFC MP5s as well as the ICS Full Metal ones, but which, if either, is better? Another factor i want to consider is customisability. I plan to add a flashlight foregrip which wont be an issue on either A4 models, but n the collapsible stock variants the VFC one looks different and im not sure if it would fit. But then i, having not played properly before, do not know if having a larger battery as would be apable in an A4 is that much of a benefit? I've done alot of searching but never really found a definitive answer for this. I have tried searchinv these forums too with no luck. I wasnt even finding any search results form"mp5" so i think i must have broke the search tools somehow lol. Cheers in advance for any replies. If you are a proud owner, a picture would be nice too. 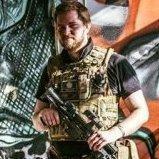 I have a G&G MP5 which are nice guns - they do a wide range and Ive got a Cyma "Kurz" MP5K which is more of a fun gun for the latest milsim series that I plan to do. Cyma are good and relatively inexpensive whilst G&G Top Tech are better engineered but a lot dearer. If you get a version with rails, you have the flexibility to add what you want, Battery space is limited unless you go for a full stock but a thin 1400mah lipo will last most or all of the day depending on trigger time. Depends on what it is you're looking for. The ICS ones are brilliant all-round. As far as I'm aware, VFC only make gas MP5s - they're really well-made but have terrible problems with feeding and cool-down. Maybe they do make an electric one and I'm just not aware of it? Either way, I'd personally go MP5. ICS make loads of different variants, and there are a lot of aftermarket parts available. Not only that...they're ICS! G&G top tech MP5's are pretty damn good. The combat machine version is also good but is lower spec and only comes with the standard stock. ICS has a wide range of MP5's with different specs. This includes versions with 3 round burst capability and split gearboxes etc. ICS MP5's tend to have very low tolerances on the magazines. Some magazines may not work, so it's best to either try the mags before buying or buy ICS magazines. TM just makes a quality MP5. All other MP5's are clones of the TM. Customisation on MP5's is easy. Almost all external parts are interchangeable and internally there are only a few things different in the ICS and G&G. For those who were wondering http://airsoftinsider.com/umarex-vfc-hk-mp5-a4/ thats the VFC/Umarex one i was refering too. Ive seen it available at wolfarmouries and redwolf airsoft and various other places for around £220-240. Ive not even seen a G&G one yet, i'll have a looksie. ICS is looking promising at the moment though. Thats just one of many variants in the G&G range. 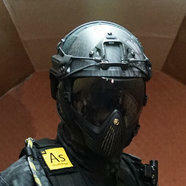 Try Airsoft Zone in Romford as they sell a lot of G&G and their tech John is good too if you have any issues. I needed some small bits for my G&G AK recently and G&G support in Taiwan are very responsive and helpful. That is a beauty of a gun! And if anyone knows where I can get it from I will owe you BIG TIME!!! I currently own an ICS MP5 and a Classic Army MP5SD, previously owned, and regrettably sold, a TM MP5K. Over all there wasn't much to choose between them. CA externals feel a bit more heavy duty I guess but overall they all look/feel do the same job. Never tried a G&G (hear only great things so maybe after Christmas) or the VFC aegs. All mags (except SRC) seemed to fit the Marui, but as mentioned above, can be annoying with other brands. Also worth noting TM uppers are a tad smaller than ICS and CA so alot of top rails won't fit those 2. In short though ICS, CA, TM, G&G, VFC all appear to make pretty solid MP5's, so just buy them as I do and get whatever looks coolest or meets your skirmish needs. If you had to choose between your ICS and CA which would it be? Hmm, both have pros and cons. If I had to pick I'd say get the CA with SEF fire selector. Navy selectors can be a bit wobbly, but there isn't much between them at all. Would you mind expanding on those pros and cons. Im almost in more of a predicament now. G&G, ICS, VFC and CA all look solid. Might end up coming down to price if theyre all very comparable. First AEG, not an M4(magazine) rifle, have you considered CYMA/JG - unless you're sure the ergonomics of that platform are for you? I have the K, and I find that theres not much wrong with it externally or ergonomically, it has cheap internals, but making that statement without owning it more than three months is its own fallacy; I've yet to find out the downsides of cheap internals. Though, if you can get a definitively better brand for less than £200 ignore me. CA: Pro- Pulled off some pretty great long range shots even with stock set up. Cons - Navy fire selector can be a bit wobbly. Cons- Never fires the first shot or 2, regardless of mags. I've had 2 ICS MP5s that do this. ICS won't take CA mags although ICS mags fit CA. Both have bodies slightly wider than the TM so a lot of rails don't fit on top of it. Honestly neither are bad options, my ICS is my gun of choice for CQB. I reckon the VFC would be a good bet if you have £300 spare. Thank you for all your responses. You have all been really helpful. Would love to see a video sometime PeteS. Everyone loves a YouTube video!